PHILADELPHIA, PRNewswire - BG Capital is proud to announce the recent acquisition for the development of the new Seaport Pier in North Wildwood, Cape May County, NJ. This agreement will bring new life to the once foreclosed and vacant Seaport Pier located on the Boardwalk at 22nd Avenue. A multi-purpose venue with resort-style amenities for regional and tourist guests will provide entertainment and activities for visitors of all ages. To learn more about pool memberships and for general information, email info@seaportpier.com. Co-founders of BG Capital, Daniel Govberg and Joseph Byrne, are proud to announce the recent acquisition for the development of the new Seaport Pier in North Wildwood, Cape May County, NJ. A multi-purpose venue with resort-style amenities for regional and tourist guests will provide entertainment and activities for visitors of all ages. "We are thrilled that we were able to work out this deal in cooperation on both local and state levels. 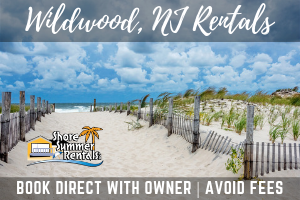 Mayor Patrick Rosenello was instrumental in making this deal happen, and facilitating this revitalization effort for the North Wildwood community at large, and to the millions of tourists who travel to this destination year round," said Joseph Byrne, co-founder of BG Capital. The plan includes a public swim club, restaurants, upscale coffee bar, and bike parking, as well as an agreement with a renowned entertainment company. Ashley Govberg, Principal of ACG LLC and chief designer, is heading up all aspects of the design, and is focused on creating an inviting and exciting atmosphere for all to enjoy. Brunch powerhouse restaurant, Green Eggs Café, will be one of the pillar establishments at the new Seaport Pier, providing decadent eats with the freshest local ingredients, and featuring La Colombe Coffee. Green Eggs Café focuses on serving the highest quality product at the lowest possible price point, all while maintaining an eco-conscious philosophy on a daily basis. The Seaport Pier location marks the fifth Green Eggs Café restaurant to open. Other locations include, South Philadelphia, Northern Liberties, and Midtown Village in Philadelphia, as well as Miami. "We are beyond excited to be joining the team at Seaport Pier this coming summer to add a destination to the already established North Wildwood dining scene. We will be bringing Green Eggs Café to the pier for a fun and delightful breakfast and brunch experience. Green Eggs Cafe's team will also be adding a light and refreshing food and beverage menu Poolside! In addition, the team will be adding a bar and grille concept operating for lunch and dinner. All three models will focus on Jersey fresh products," said a representative from Green Eggs Café. Alcoholic beverages will be available at three designated areas on the pier - The Dive Bar, The Sand Bar, and the Starboard Swim Club. The creation of these three establishments is being spearheaded by hospitality veterans John Little Jr. and Gavin Wolfe. "Being a part of this venture with BG Capital and the great city of North Wildwood is thrilling to us. 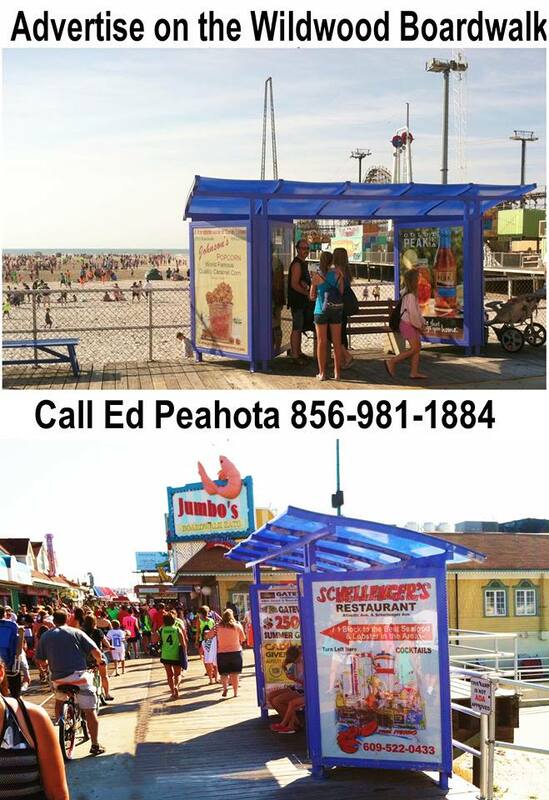 We believe this is something the Jersey shore needs. We can't wait to work alongside the great people of North Wildwood, Green Eggs, and the other exceptional entertainment entities. We look forward to being a part of its growth and success," sentiments expressed by John Little Jr. and Gavin Wolfe. The Dive Bar will incorporate the historical South Jersey Coastline and the old Deep Sea Diver outfit, and will feature kid-friendly equipment and apparatus. The Sand Bar, just steps away from the beach, will be the perfect public gathering space to meet, eat, drink and soak in the sun, as well as to host entertainment events on a grand scale. The Starboard Club is a modern, "resort-style" pool that will offer residents and tourists an alternative to the beach. Seasonal, monthly, weekly and daily memberships will be available. Amenities will include private locker rooms, pool side food and drink, even a swim-up style bar. A pool management company is expected to join the team. At fourteen and a half feet above sea level, the building plans adhere to the most stringent codes for beach front development. All elevation, wind, and flood plain guidelines have been met according to both local and state code requirements. Danny Govberg, co-founder of BG Capital remarked, "With our successful track record of increasing property value, BG Capital looks to do other projects and acquisitions like the Seaport Pier, functioning as a reliable operating partner, where we can contribute to the strategic and operational development for portfolio companies." Construction of the Seaport Pier began at the beginning of this year. The Pier is planned to be open in May 2018. 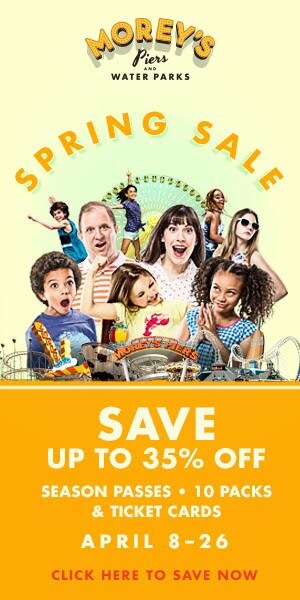 To learn more about the Pier, visit www.seaportpier.com. BG Capital was founded in 2012 by Joseph Byrne and Daniel Govberg. BG Capital is a real estate investment and management firm focused on the acquisition, development, and property management of commercial assets in the Tristate area. The Company currently has over $68.2 million invested in real estate, primarily in the student housing and healthcare industries. Commonwealth Campus is one of the latest developments in the BG Capital portfolio. For real estate investment inquiries, please email Jennifer Govberg, Director of Communications & Leasing at Jennifer@govbergrealty.com. Green Eggs Café is a brunch-style restaurant that takes pride in serving the highest quality fare, while maintaining an eco-conscious philosophy. The restaurant is dedicated to serving high quality food at a low cost to its patrons. The Company participates in buying fresh products locally, which support merchants in the area. John Little Jr. has 20 years of experience in the hospitality industry, including bartending, managing, operating and owning various establishments. His employment history includes Chickies and Pete's in Philadelphia (20 years) and Keenans Irish Pub in North Wildwood (18 years). Gavin Wolfe is a founder and Owner/Operator of Three Monkeys Café at Torresdale Station in Northeast Philadelphia, and former sales manager at Muller Inc, Miller Lite's Philadelphia Importing Distributor. Gavin has more than 25 years of experience in the hospitality industry.